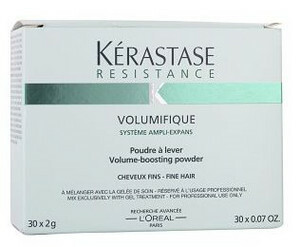 Powder for hair needing volume and strength. ▪ Quickly adds strength and volume. 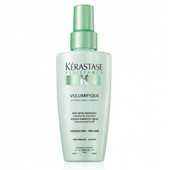 ▪ brings softness and smoothness hair. ▪ Protects against external contamination. ▪ Complex P. Mentha (mint extract) for hydration. ▪ N. Salix (willow bark extract) for the relaxing properties. ▪ Glycerin (vegetable oils) for soothing properties. Spoon gel care Gelée De Soin Volumifique with one sachet Poudre Volumifique and vymíchejte into the foam. 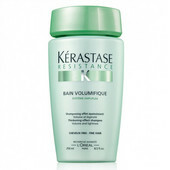 Apply strand by strand to washed and towel-dried hair. Then rinse thoroughly. 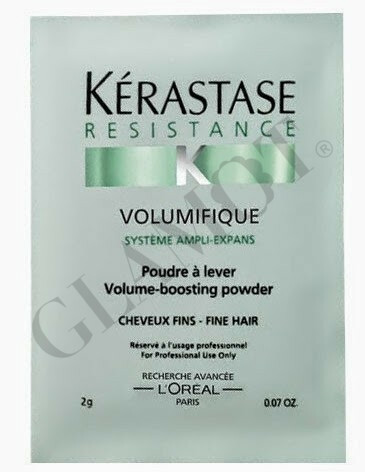 For medium and long hair - Mix 2-3 tablespoons gel care Gelée De Soin Volumifique with one sachet Poudre Volumifique and mix. 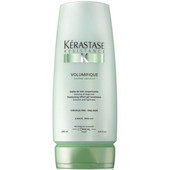 Apply strand by strand to washed and towel-dried hair. Then rinse thoroughly.